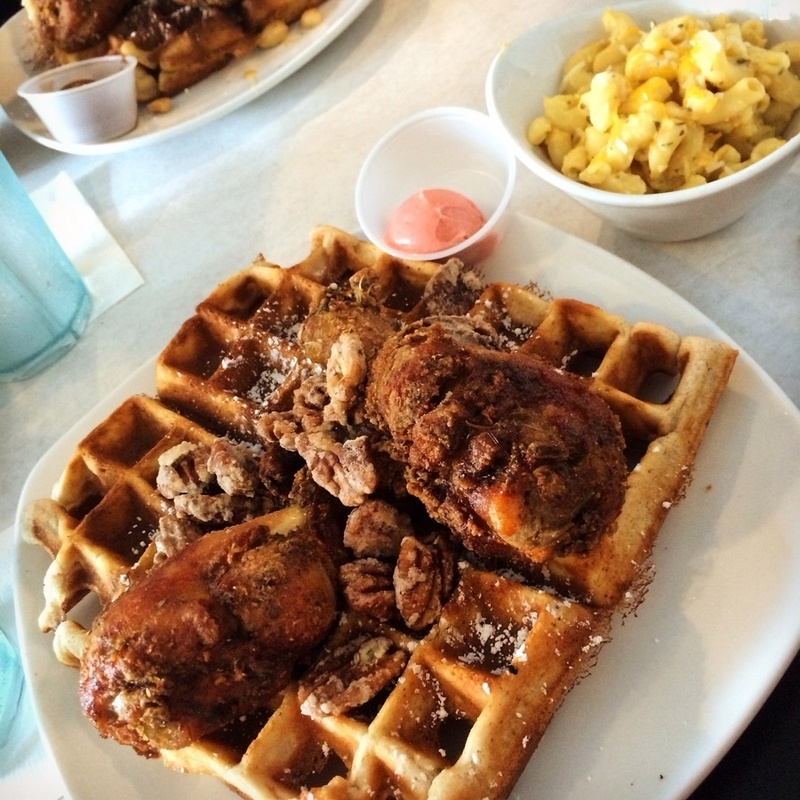 Enjoy Dame's Chicken & Waffles, a classic southern treat. We recommend the originals with shmears, but be careful, they claim these dishes are truly 'smack yo mama' good! 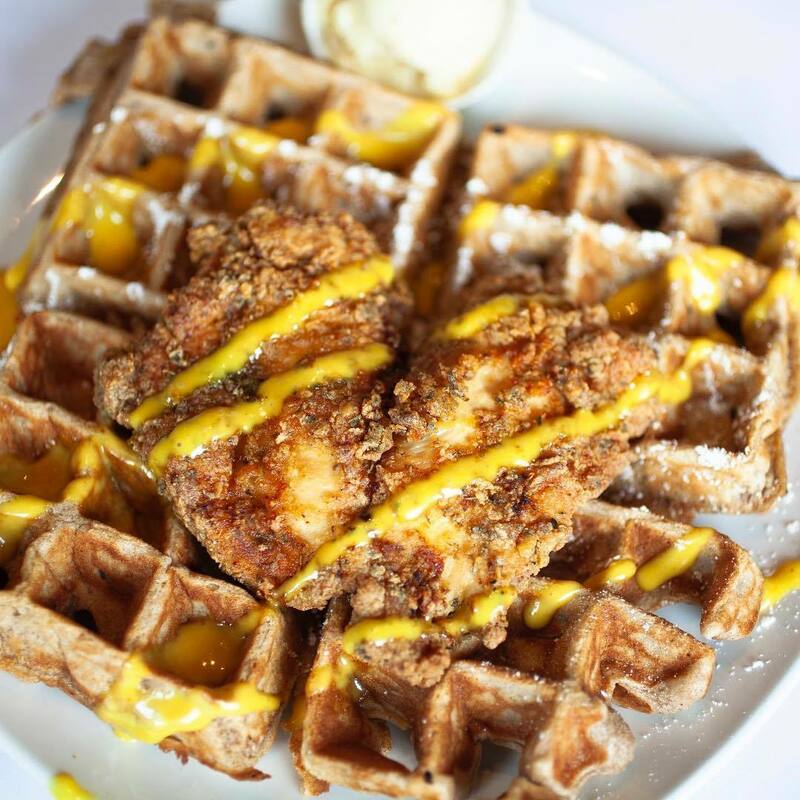 Hailing from Greensboro and spreading its love for good food in downtown Durham, Dame's is where crispy, Southern fried perfection meets deliciously sweet European decadence. 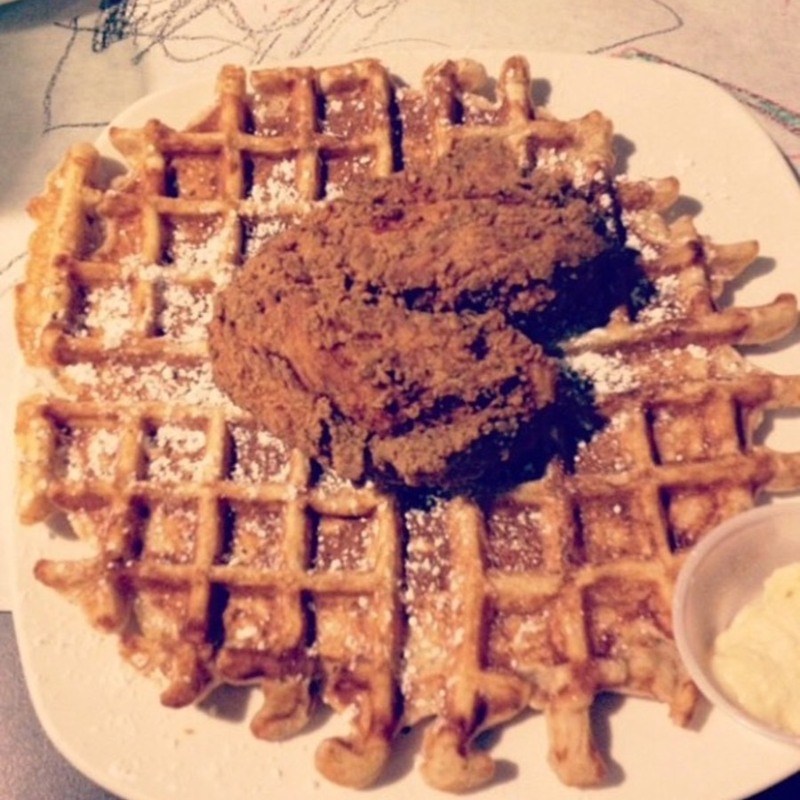 Dame's pairings are world-class, comfort food combinations meant to fulfill your appetite's and heart's desires. 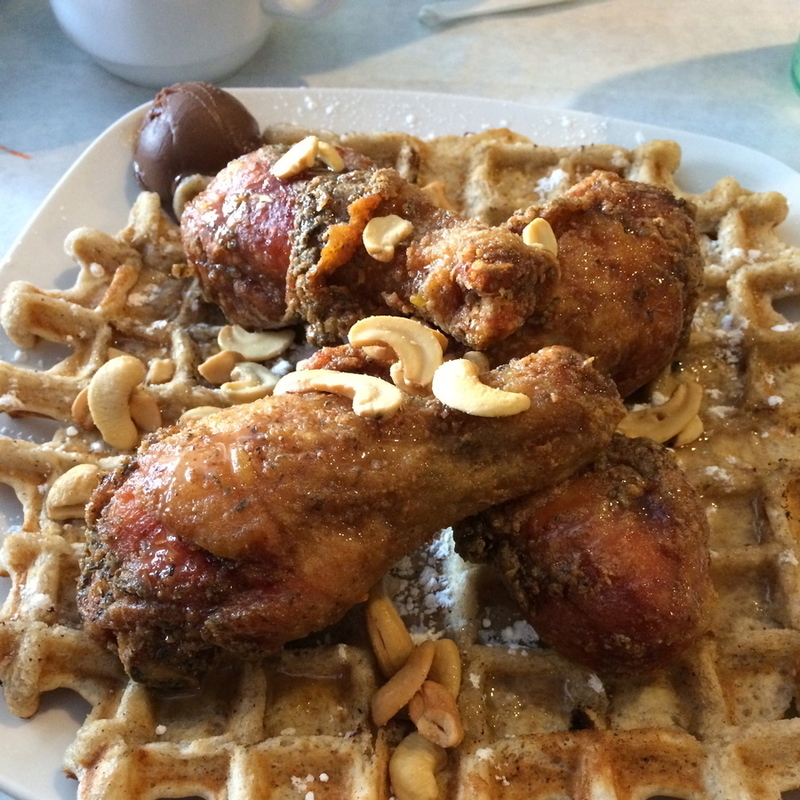 Dame's chicken & waffle inspirations are truly palette pleasing pairings that offer something special for all comers. They're also famous for their "shmears," and if you aren't familiar with what a shmear is we're here to help. They're sweet crème butters that have been delicately whipped with the freshest natural ingredients available. Take your pick of one (or two) of these creamy treats. 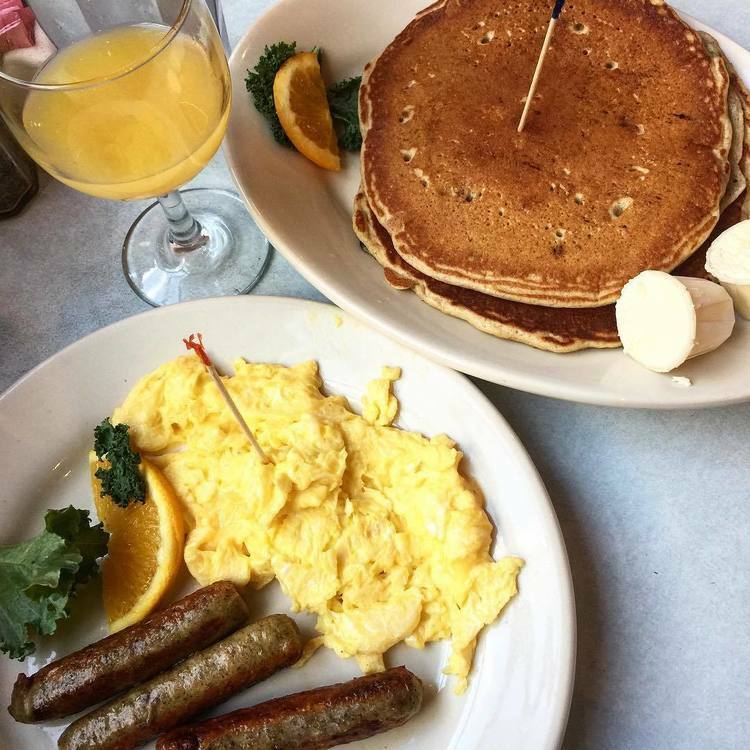 While the chicken and waffles are where's it at, you'll find a variety of all-day breakfast combos you'll savor and enjoy. And, attention vegans! 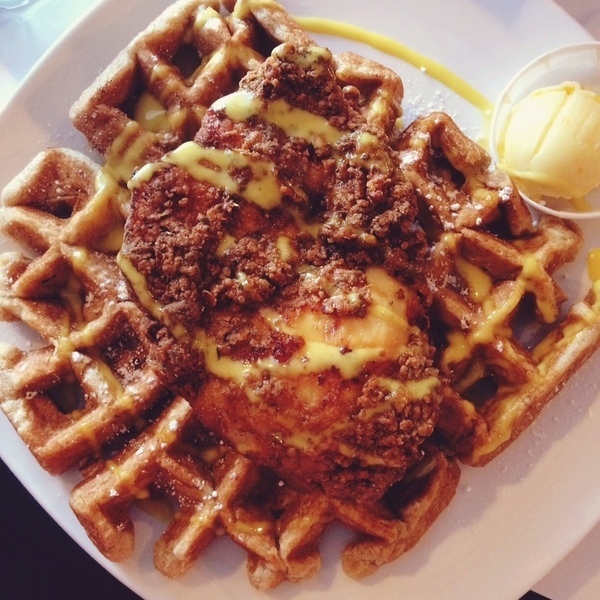 Dame's now offers vegan waffles so you can dine with your bird eatin' and dairy lovin' friends.